Bask in fantastic sunlight and city views in this beautifully updated home with a large private terrace situated in a sought-after Gramercy co-op.Exceptional tranquility and light are yours thanks to this home's high-floor position and great windows on three exposures: south, east and north. Arrive in the oversized great room, to find gleaming oak hardwood floors, tall ceilings, built in Bose speakers and lovely millwork throughout. There's plenty of room for seating and dining areas indoors, and the roomy 200-square-foot south-facing terrace provides a stunning getaway for al fresco dining. The open kitchen is a chef's haven thanks to beautiful granite-top cabinetry and stainless steel appliances, including a GE Profile range and refrigerator and double dishwasher drawers by Fisher & Paykel.An archway and handsome built-in shelving invite you to discover two king-size bedrooms and updated windowed baths. In the master suite, you'll enjoy rows of spacious closets and an en suite bathroom with a Turkish tile walk-in shower. The second large bedroom faces north and is placed directly next to the second full bathroom with a tub. Currently configured as a two-bedroom, this home's generous floor plan can easily accommodate the addition of a third bedroom without sacrificing space for living and dining areas. 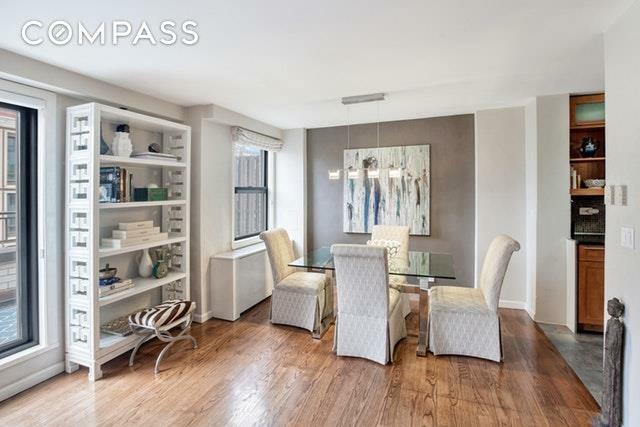 Lastly, upgraded HVAC units with thermostats ensure year-round comfort in this immaculate Gramercy home. 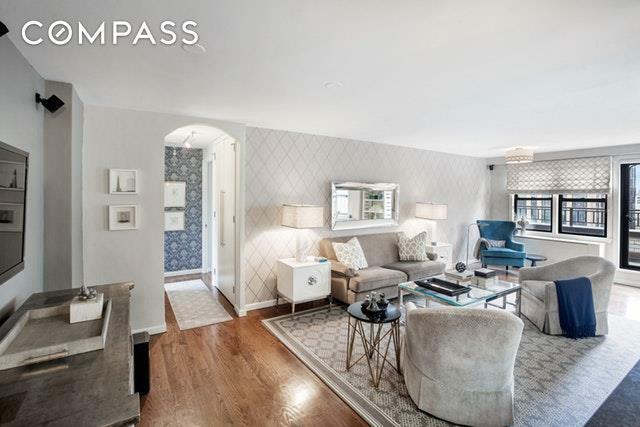 Please note, the maintenance includes a monthly energy charge of $177.Quaker Ridge is known for its stellar financials and low maintenance, not to mention its prime location just steps from Gramercy Park. Residents of the fine co-op enjoy full-time doorman service, live-in superintendent, laundry facilities, bike storage and a residents-only parking garage with direct access to the building. Quaker Ridge allows co-purchasing and pets, but does not permit guarantors or pieds--terre. 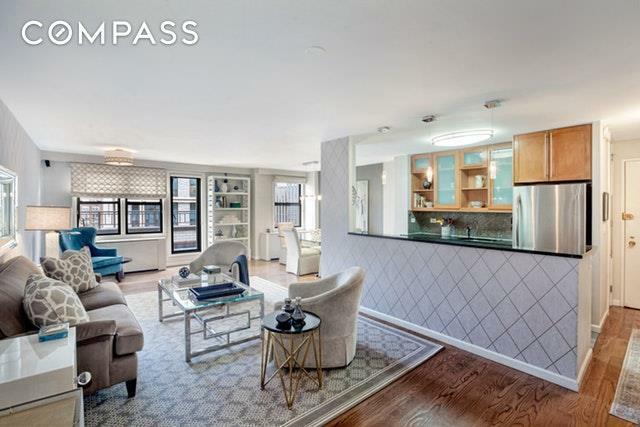 Located just minutes from Union Square, the Flatiron District and NoMad, this home is at the heart of exciting Manhattan living with abundant shops, restaurants, services and outdoor space at every turn. 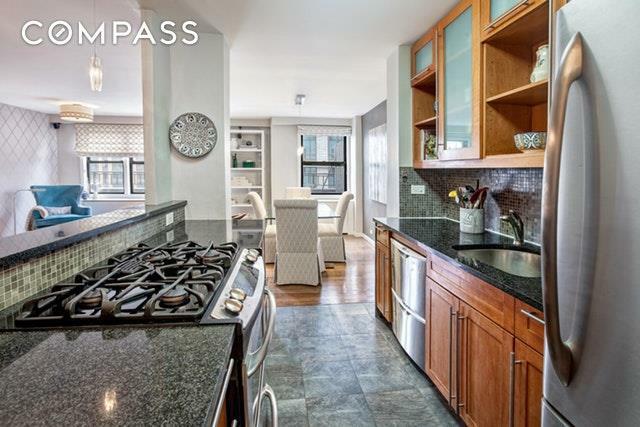 Access to transportation is fantastic with 4/5/6, N/Q/R/W and L trains all nearby. Listing courtesy of Amy Axelrod of Compass.